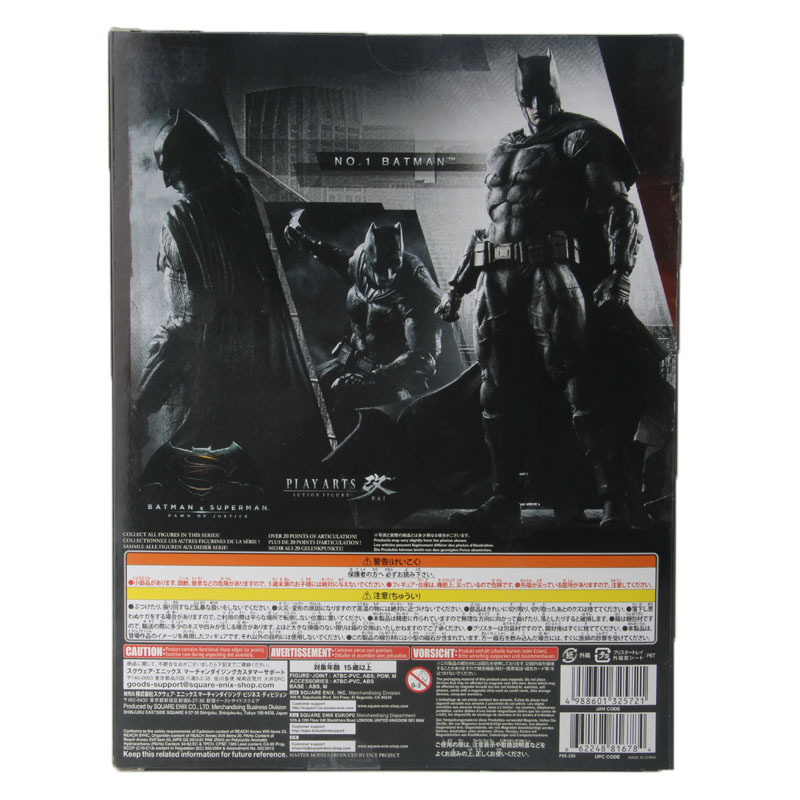 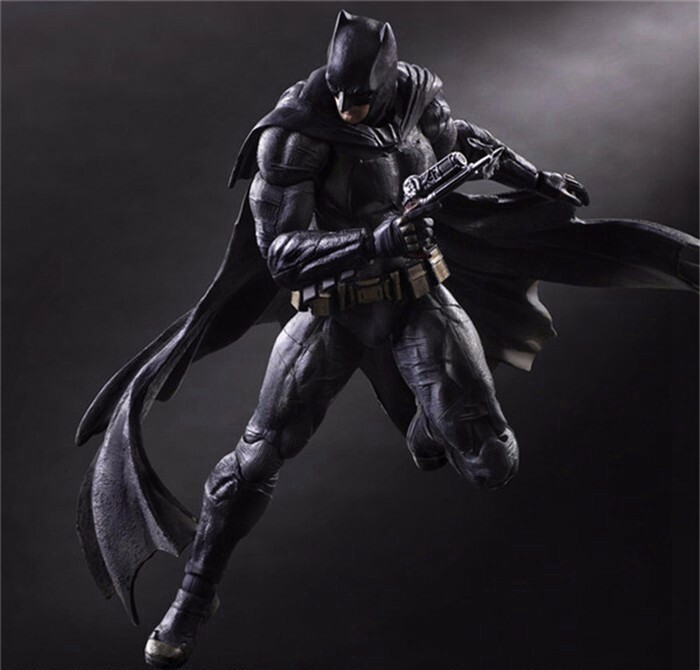 Batman v Superman: Dawn of Justice depicts the clash of two iconic heroes in the DC Comics universe. 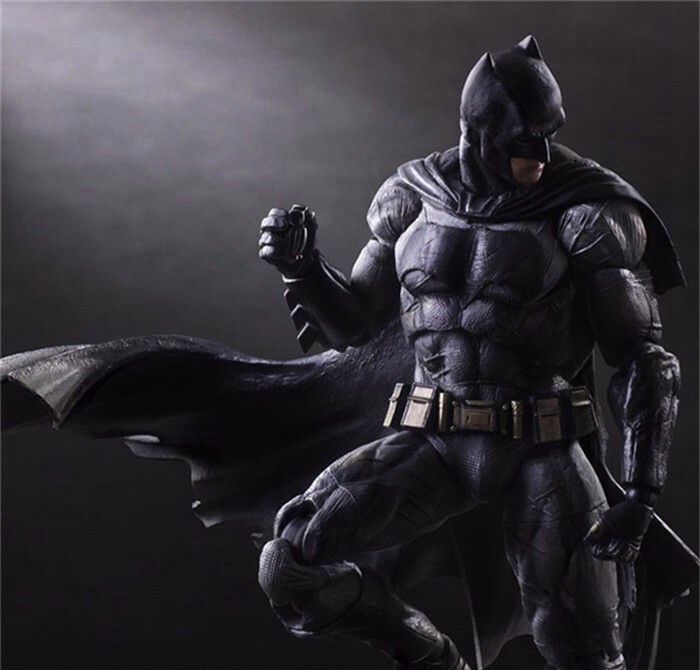 The difference between BATMAN as opposed to Superman, who has been heralded as the hope for mankind, is rendered through the roughness of the Batsuit and cape. 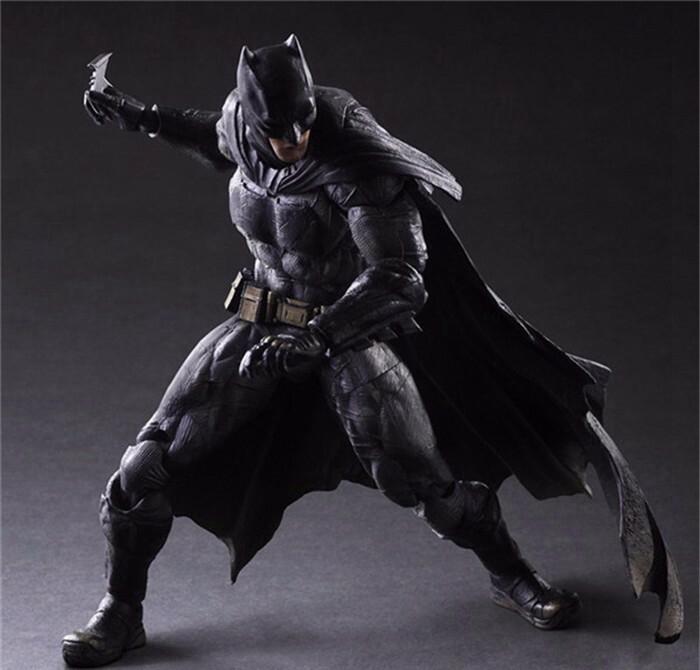 In addition to the flexible materials used in various parts, rolling joints have been implemented in the upper arms and thighs for a wider range of mobility, allowing for improved poseability. 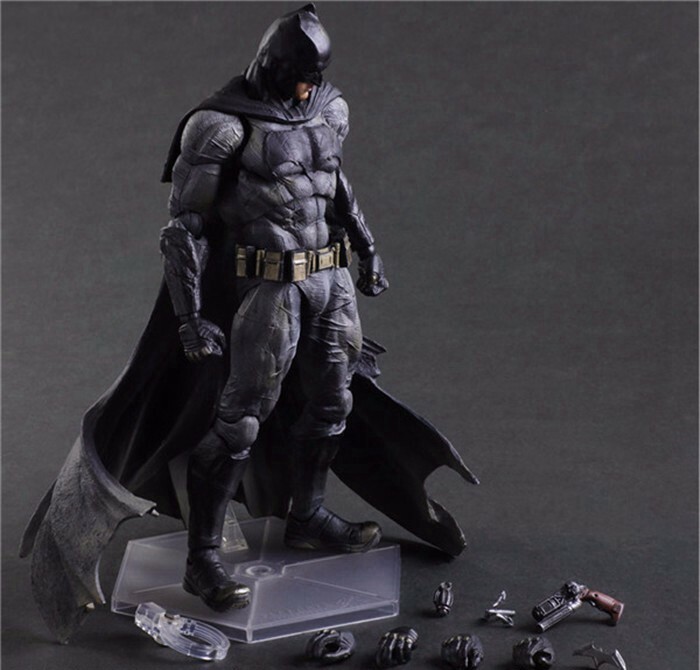 From recreating the likeness of his face to the texture of his body and suit, there are fine details incorporated within the simplicity, and the paintwork makes the care that was put in to the sculpting shine. 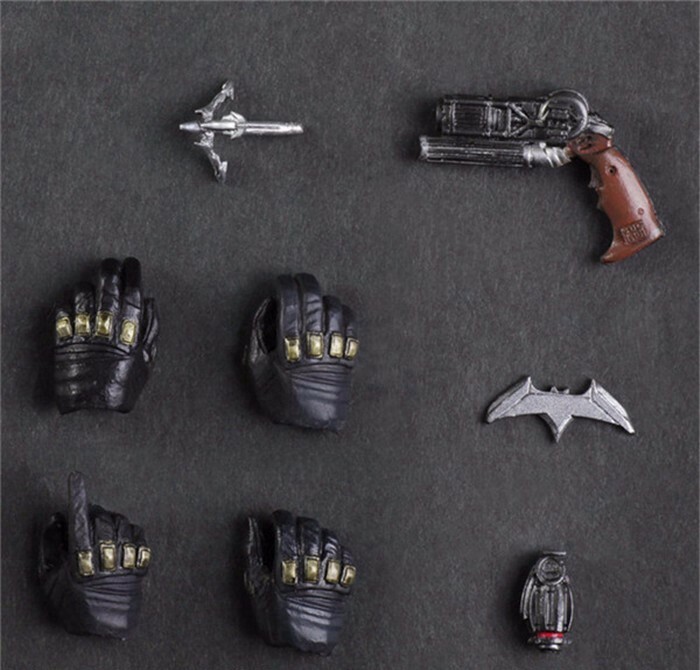 Of course, we can’t forget the various signature gadgets that BATMAN carries in his arsenal. 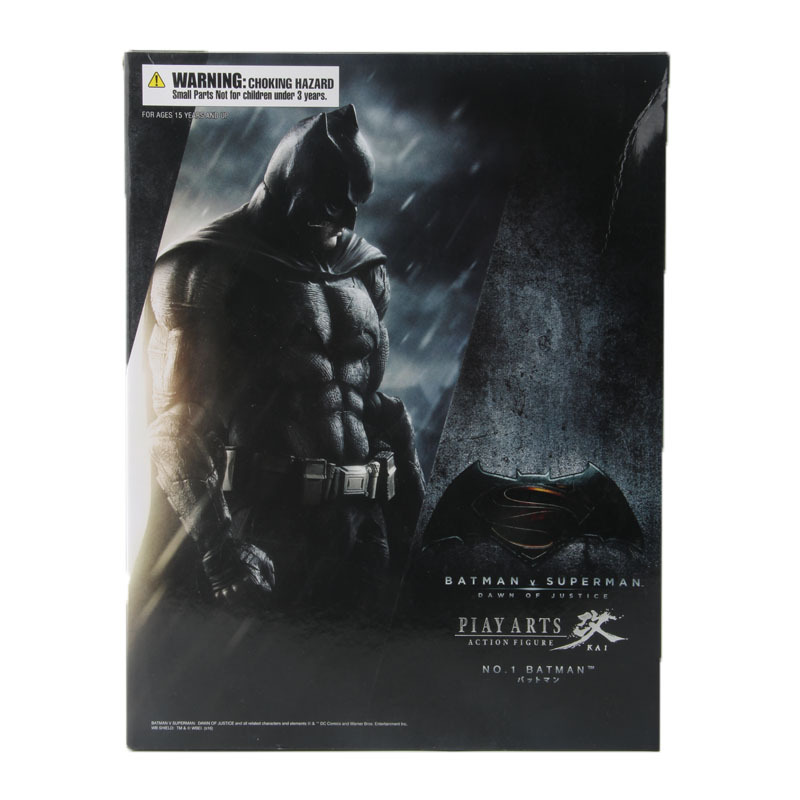 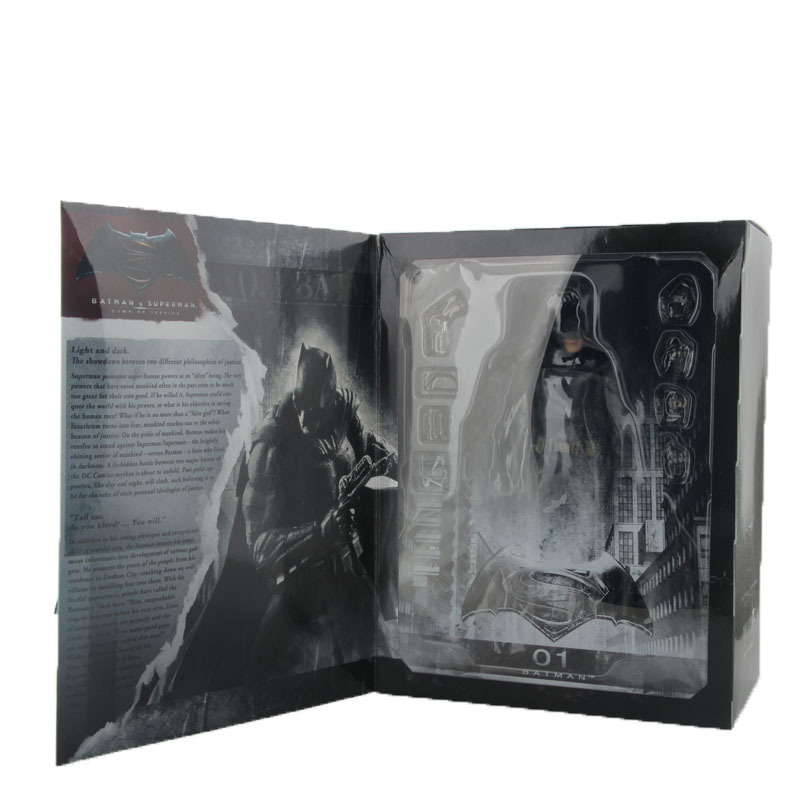 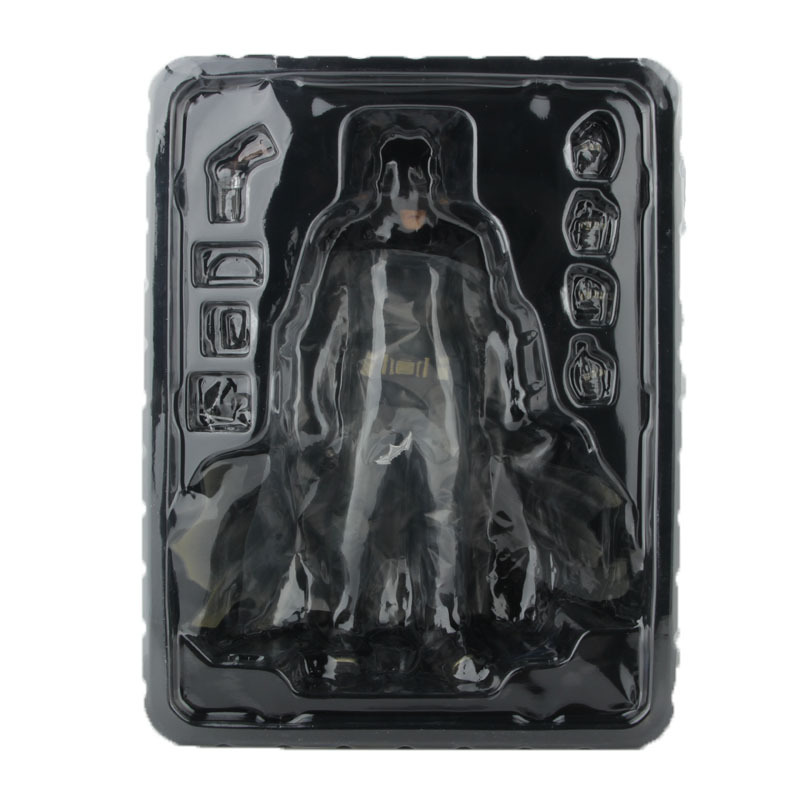 This figure exudes the image of a dark hero that stands against the light.